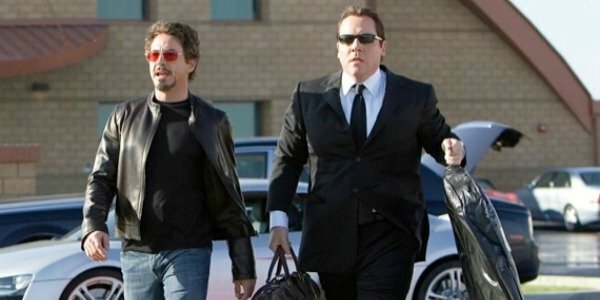 As the director of Iron Man and Iron Man 2, Jon Favreau played a huge part in defining and solidifying the Marvel Cinematic Universe, providing the perfect foundations for it to expand into the behemoth that it is today. Jon Favreau has since gone on to work on different projects. But he’s now admitted that he’s still creatively involved with the studio. In fact, like he was on Avengers: Age Of Ultron, he’s acually working as an Executive Producer on Avengers: Infinity War. Jon Favreau made this admission to Digital Spy while talking about his latest directorial outing, The Jungle Book. But while Jon Favreau’s comments suggest that he doesn’t have any plans to return as a director for Marvel, he did admit that he’s constantly in discussions with Infinity War directors Anthony and Joe Russo. I talk to them about it all the time. I’ve worked both in front of and behind the camera with Marvel and I really love what they’re doing right now. Jon Favreau’s not the only one who loves what Marvel are doing right now. That’s because while Warner Bros. are struggling to get their DC Extended Universe off the ground, which was plainly evident with the tepid response to Batman V Superman: Dawn Of Justice, Marvel continue to go from strength to strength. Not only has Captain America: Civil War been met with outrageously good reviews that mean it currently has a score of 94% on Rotten Tomatoes, but the current projections are that it will easily topple Batman V Superman: Dawn Of Justice at the box office. Meanwhile, the first trailer for Doctor Strange recieved an emphatically positive response, too. And some of the credit for this success does belong to Jon Favreau. With Iron Man Jon Favreau created a jovial and downright entertaining blockbuster, while it also had a mature and cheeky humor that the Marvel Cinematic Universe has deployed ever since. Meanwhile Jon Favreau also made the genius casting decision to hire Robert Downey Jr. as Iron Man. This instantly brought credibility and a little bit of edge to the universe, and it set up a stunning foundation upon which Kevin Feige has been able to enthrallingly build. 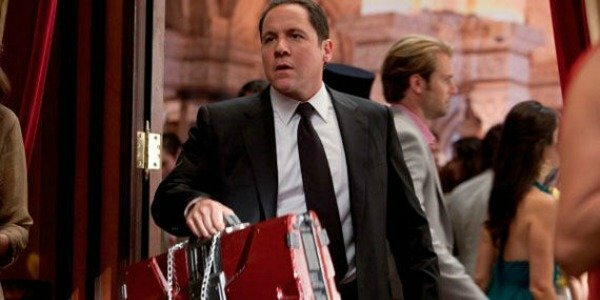 Jon Favreau has also appeared as Happy Hogan in all three of the Iron Man films. Unfortunately it doesn’t seem as though there are any plans to include Tony Stark’s chauffeur in future Avengers films. But since Jon Favreau is too busy making outrageously enjoyable films like The Jungle Book to reprise the role, we can cut him some slack.